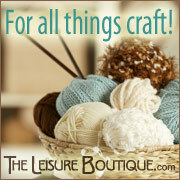 Thank you for visiting my crafting website. I hope you enjoy your visit. You will find beaded bobby pins in a variety of styles and colors. I also have beaded earrings, bracelets, chokers, incense holders & matches, & crochet bookmarks. I hope my site inspires your creativity. Diamond Engagement Rings, Diamonds and Jewelry at My Solitaire Diamond Engagement Rings, Diamonds, Wedding Bands, Gemstone Jewelry, Pearl Jewelry, Platinum Jewelry, Gold Jewelry and Silver Jewelry at My Solitaire. FJDTool.com One Stop Shop for jewelry making tools and displays for the jeweler, watchmaker, hobbyist and craftsman. Mothers Pendants We specialize in Mother's Day Jewelry, Pendants, Earrings, Rings, Bracelets, Charms & Children's Jewelry. Visit Samarajames.com Diamond Engagement rings from Samara James visit their site today to see the newest jeweller designs. SWD ruby sapphire wholesale gemstones Supplier of rubies, blue pink yellow fancy sapphires, and precious stones to dealers. Walsh Brothers Clocks Watches and Jewellery Jewellery shop based in Beckenham Kent England. A very wide range and international delivery. Wholesale Fashion Jewelry Compares online fashion jewelry stores and gives tips on purchasing wholesale jewelry. Offers iron gates, wrought iron forged gate & furniture, ornamental driveway gates. Also provides wrought iron garden gates, components & gate automation, gate operators.